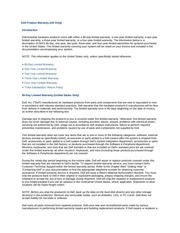 This PDF 1.4 document has been generated by Acrobat PDFMaker 6.0 for Word / Acrobat Distiller 6.0 (Windows), and has been sent on pdf-archive.com on 18/12/2016 at 08:17, from IP address 120.140.x.x. The current document download page has been viewed 1863 times. File size: 802 KB (83 pages). can be disseminated for other purposes. disclose the information in this work unless expressly authorized by Mindray to do so. Content of this manual is subject to changes without prior notice. 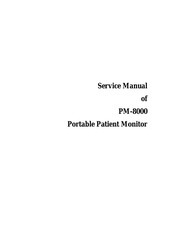 SHENZHEN MINDRAY® BIO-MEDICAL ELECTRONICS CO., LTD.
• the monitor is operated under strict observance of this manual. This equipment is not intended for family usage. This monitor is not a device for treatment purpose. maintenance schedule. Neglect of this may result in machine breakdown or injury of human health. which Mindray may define as user serviceable. at Mindray’s option, any part which upon Mindray's examination proves defective. Mindray or repaired by anyone other than a Mindray authorized representative. markings have been altered or removed, or any product of any other manufacturer. other than those authorized by Mindray. Mindray for service (this includes customs charges). the user to get familiar with the equipment and make the best out of it. Points to be noted to avoid injury to the patient and the operator. Points to be noted to avoid damage to the equipment. ′ NOTE ′ Points to be noted. experience in operation of monitoring equipment. This file has been shared by a user of PDF Archive. Document ID: 00523606.